Customize our Playful Daycare Newsletter Template and more! Keep parents up-to-date with their little rugrats’ school adventures with a playful daycare newsletter designed using our online editor. 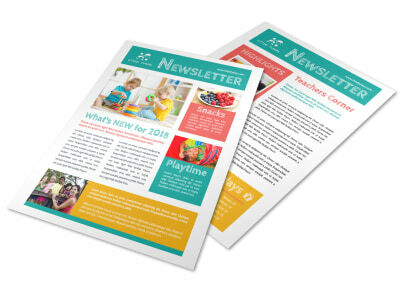 Customize a template with images of the kiddos hard at play, add engaging text to communicate home with the parents, and include other fun design elements to create a professional newsletter. 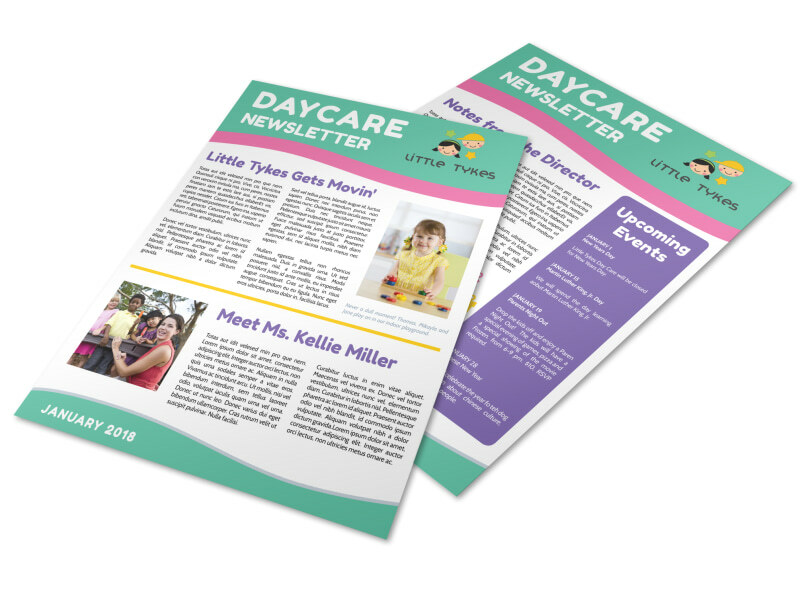 Start designing your daycare’s newsletter today.